You can view this scribbling as a thing about not only cloning VMs without vCenter but also as a principle in the wide sense. 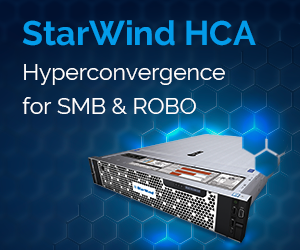 In fact, all operations you usually carry out in your environment via GUI can be performed with either the vSphere Web Client or PowerShell commands. Just think through them and learn the right commands if needed. Nothing more than that! Before I go deeper, I want you to understand the stages that cloning process consists of. I believe this to be essential for understanding what’s exactly going on in my article. The gist of cloning a source VM in case something happened to your vCenter is creating a target VM with just the same resources assigned to it as the source VM has. Next, the source *.vmdk and *.vmx files or disks are copied to the target’s folder. Eventually, the virtual disks are assigned to the target VM, and the clone gets registered and booted up. Hey, where are the snapshots? VMware does not recommend cloning VMs with snapshots. So, either consolidate them or get rid of them. Thanks to the familiar GUI, this is the easiest way to copy VM if VMware vCenter is unavailable. You’ll need just a web browser and several clicks to have the job done. You can check whether copying is over in Recent Tasks (the task must have the Completed successfully status). Please note that cloning always takes some time. Even if you clone the VM within the datastore, you should better have a break as that process may take a while. How long will it take? Well, it depends on your hardware and virtual disk volume. PLEASE, NEVER REGISTER THE VM AND DON’T START IT UNTIL THE DISK IS COPIED, OTHERWISE YOU WON’T BE ABLE TO START IT! Below, I’ve provided several screenshots of the deployed commands. I do not want the entire thing to appear kinda of a black box, so I briefly explain what each command actually does. The numbers in the text refer the number of the step in the screenshots. To get the list of all registered VMs, execute vim-cmd vmsvc/getallvms. In my case, there is only VM-Main listed. 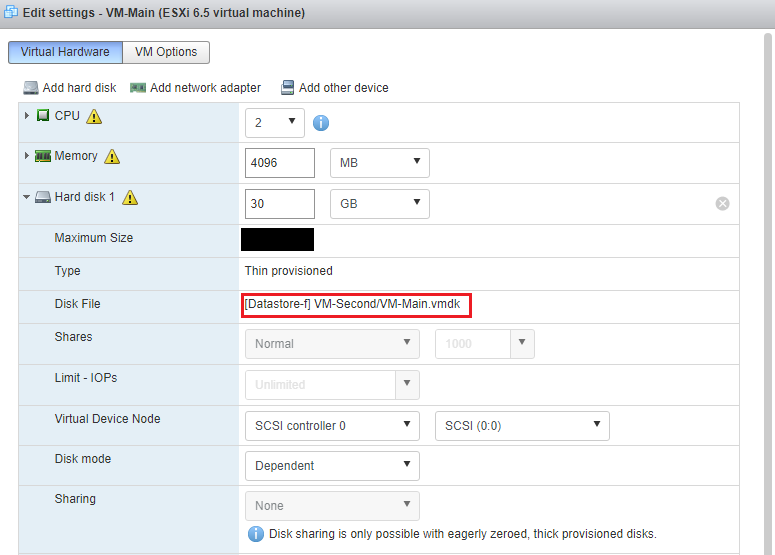 To obtain the list of datastores, execute ls -lh vmfs/volumes. In my case, there will be only one datastore listed: Datastore-f.
Now, let’s move to another directory. Type the cd command for that purpose. Here, I navigate to the Datastore-f directory. Type ls. This command provides you with the directory content. Here, the content of Datastore-f.
To create a new folder with the specified name, enter mkdir <name folder>. Now, I use this command to create a directory where VM files will be copied. Execute ls again. This time, it serves for verifying a new directory creation. Next, use cd to move into to the recently created VM directory. Afterward, execute the ls command to check the VM directory content. Copy files from the source directory (VM-Main) to the target one (VM-Second) with the cp command. After executing the cp command, the console won’t respond for a while. Just wait a bit until the command works out. Type cd .. to navigate to the upper directory. Next, deploy the ls VM-Second command to acquire the VM-Second directory content. ls VM-Main, in its turn, provides the VM-Main content. Now, navigate to the source VM-Second directory with the cd VM-Second command. vmkfstools -E VM-Main.vmdk VM-Second.vmdk. This command allows renaming the *.vmdk file. Afterward, type mv VM-Main.vmx VM-Second.vmx to rename the *.vmx file. Again, execute ls to check if the *.vmx file was renamed. vi VM-Second.vmx enables to modify the specified *.vmx file. Type ls to check the directory content. Here, the VM-Second content. execute vim-cmd vmsvc/getallvms to get the list of the registered virtual machines. Execute cd .. to go up a directory level. Register the VM with the vim-cmd solo/registervm /vmfs/volumes/5a251c85-badd3a98-c863/VM-Second/VM-Second.vmx command. Enter vim-cmd vmsvc/getallvms to acquire the list of registered VMs. 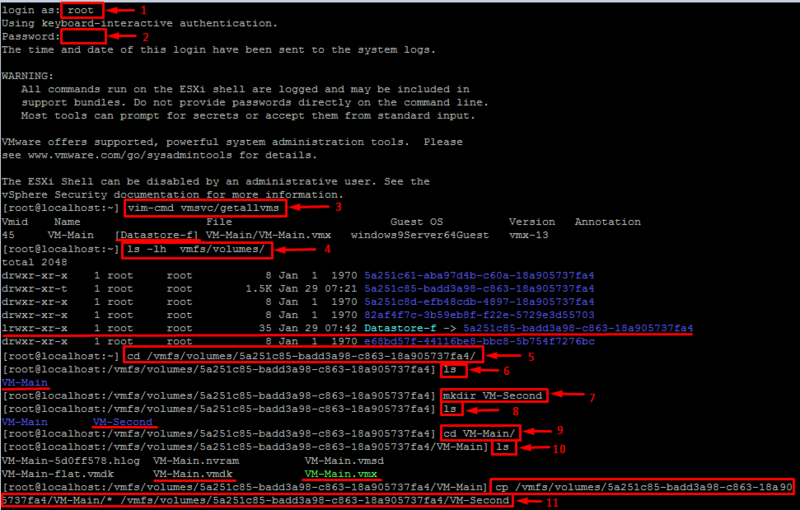 I’ve executed this command to check whether VM-Second has been registered properly. PowerCLI is a perfect tool for ones who want to automate the cloning jobs. First, install VMware PowerCLI. If you encounter the issue with wrong certificate, here’s how you can fix it: https://www.ivobeerens.nl/2018/07/18/quick-tip-powercli-invalid-server-certificate-error/?utm_source=feedburner&utm_medium=feed&utm_campaign=Feed%3A+VirtualIef+%28Virtual+Ief%29. Then, save the script I provide below as the Clone-vm.ps1 file, and run it via PowerShell as administrator. 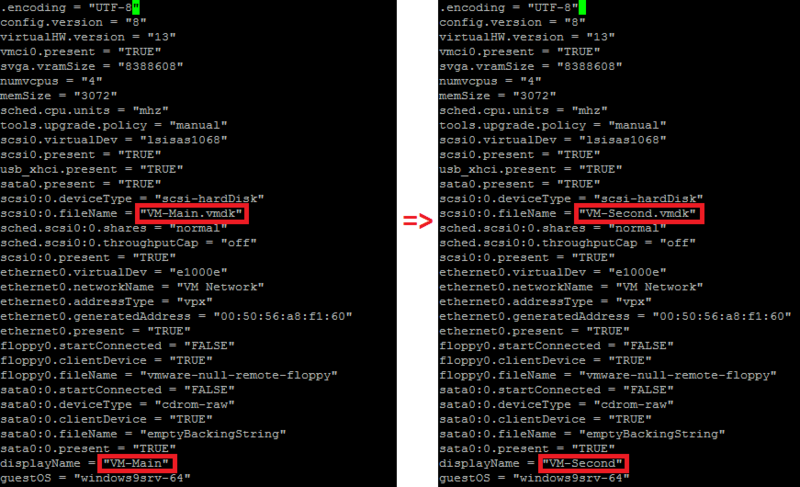 Note that I the script copies VM files to the temporary directory on the PC from which you run it. 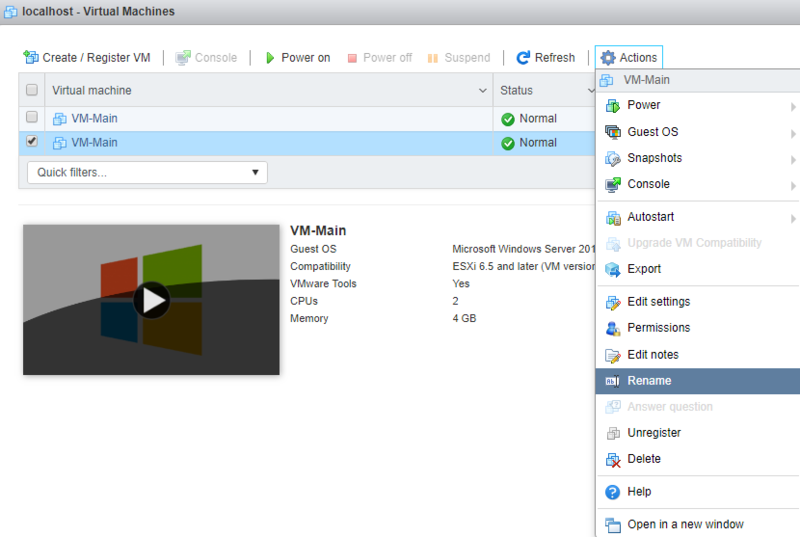 Note that the VM should be powered off and it should not have snapshots. The time needed for copying virtual disks depends on their disk volume and the network bandwidth between ESXi host and VM. 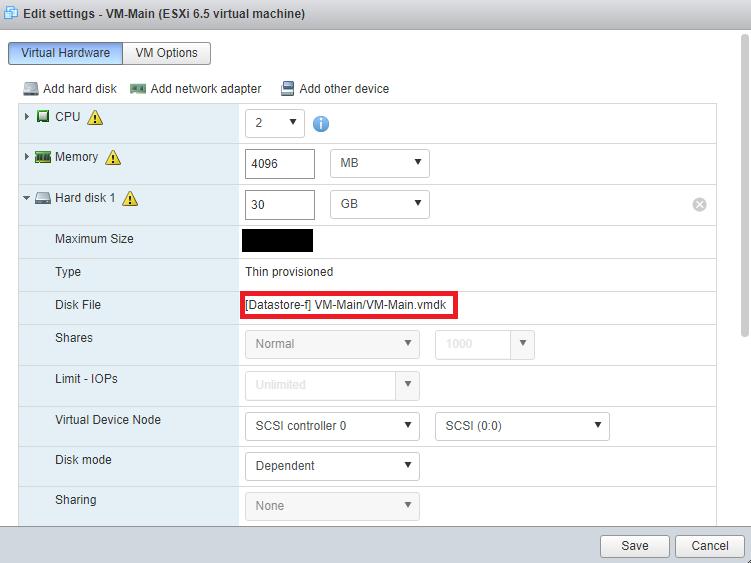 Note that the script provided below can clone the VM only within the datastore! Datastore name is detected automatically. Now, let’s take a look at the script. Write-Host "Your VM ($VMName) is registered on this host!" 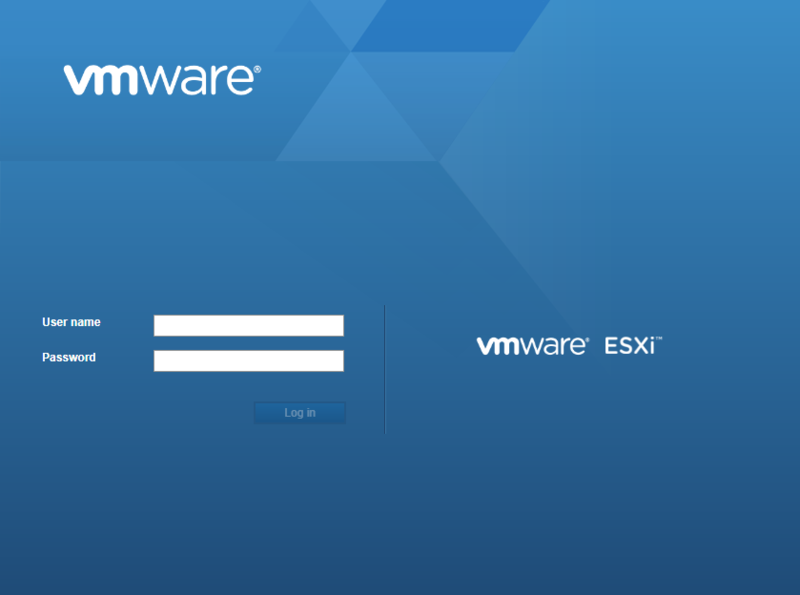 Write-Host "VM ($VMName) does not exist or is not registered on this host($EsxiHostName)! 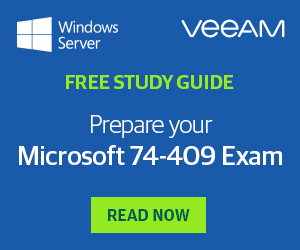 Please register the VM ($VMName), then run the script!" Write-Host "Please correctly stop the VM ($VMName) before cloning, then start the script!" Write-Host "Your VM ($VMName) is in a power off state!" Write-Host "The script is completed due to the presence of snapshots of this VM ($VMName)! 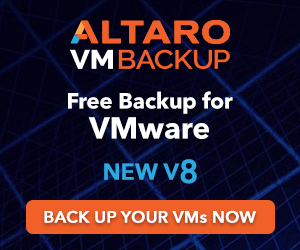 Please start the script after removing all snapshots for this VM ($VMName)!" Write-Host "Snapshots of this VM ($VMName) do not exist!" $ESXiDatastoreList = Get-ChildItem -Recurse -Path vmstores:\ | Where-Object -Property "Type"
$VMDestinationFolder = (Get-DatastoreName)+ "\"+ $VMNewName+"\"
New-VM -Confirm:$false -Verbose:$true -Name $VMNewName -VMHost $EsxiHostName -VMFilePath "[$VMDatastoreName] $VMNewName/$VMNewName.vmx"
Here, I’ve discussed three ways to clone a VM without having vCenter involved. It comes in handy when vCenter is unavailable for some reason. The workarounds shown here for sure are not that convenient as cloning the VM with VMware vCenter. 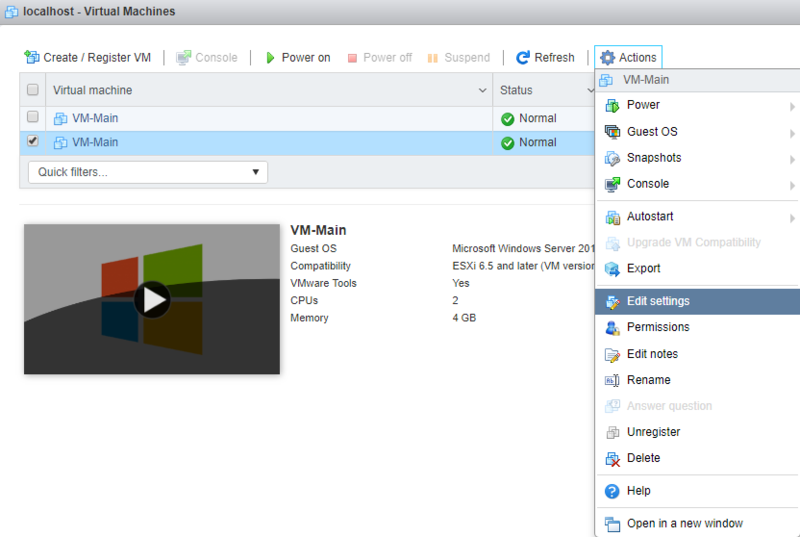 Using the vSphere Web Client is probably the simplest way among these three options. However, both SSH and PowerCLI do the job, plus, you now have the script to automate cloning jobs. Hope, the things I wrote here come in handy!